For the last few years, YYC has been exploding with new places to eat. Lately, a number of them have been very nutrition and alternative-diet focused. I stumbled upon Bruhe on Instagram and it definitely joins the ranks of nutritional hot-spots in the city! Bruhe means broth in German and the focus of this mini cafe is to “celebrate food the way it was in generations past!” They are WAPF inspired which is a “nutrition education foundation” which focuses on the research of Dr. Weston A. Price and his conclusion that great health is achieved through the consumption of nutrient-dense whole foods and animal fats. You can read more of the missionhere. Bruhe is also GAPS aware. You can ensure that you are thoroughly nourishing your body with anything you consume from this place. So far, I have tried the bison bone broth, bulletproof coffee and the liquid gold turmeric drink. Bone broth is high in collagen which helps to heal our gut lining and it is great for anyone to drink or add to soups as it helps to boost immunity because of all of the minerals. Their bulletproof coffee is upgraded, organic coffee beans blended with grass-fed butter which is considered a brain-powering healthy fat. I love golden milk and their liquid gold turmeric drink does not disappoint. There are SO many benefits to turmeric including being an anti-inflammatory and an antioxidant among about 600 other benefits! I highly recommend giving this one a try! There are a few other items on the menu including Kombucha and Chaga!! Located in Ramsay, Bruhe is a great stop on your way home from work or, if you’re like me and drive to other neighbourhoods to walk, have a stop in and try one of their fabulous and nutrient dense menu items! **post was written almost a year ago but I still love this place so much! Go and get a juice cleanse to start 2016 off right! 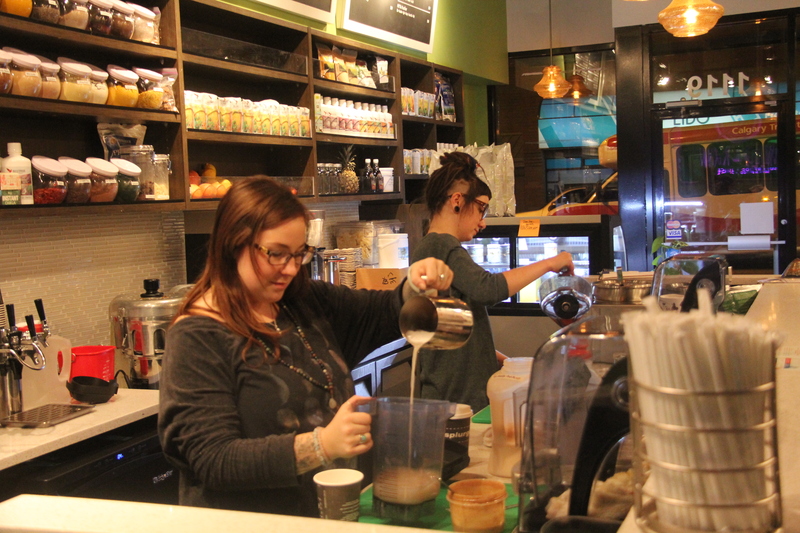 Wild & Raw is a new superfood and juice bar located centrally, in Kensington. The modern yet welcoming space offers organic fresh-pressed juices, superfood smoothies and elixirs as well as some prepared raw gluten free, vegan meals and treats to take away or to eat in their café space. With 24 permanent drink offerings, they have an extensive menu ranging from hot elixirs with turmeric and chaga to fresh-pressed juices with kale, spirulina and coconut water. It is a comfortable atmosphere and one that is definitely very unintimidating, even for the new superfood enthusiast. They are knowledgeable about health and wellness of the body and mind and want to share that passion with YYC. You can check out more information about their superfoods here. Jenn Silver has had a love of superfoods for a long time. 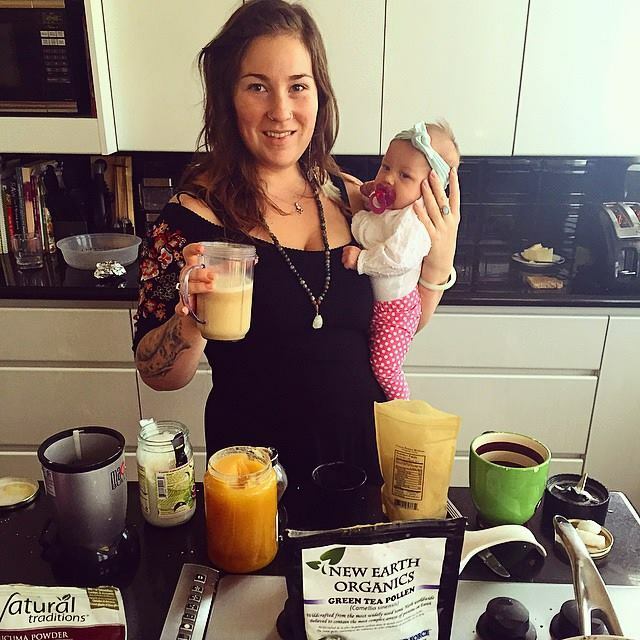 The 25-year-old, and new mother of one, originally started Wild & Raw in 2012 with a good friend, Ashley Erick. They launched the business selling juices and smoothies out of the juice bar at Samadhi Yoga and Wellness Centre. The duo closed down the bar and put Wild & Raw on the back burner and Erick moved to Australia to launch another healthy business. Always interested in superfoods and their benefits for both body and mind, prior to opening Wild & Raw, Silver attended SAIT studying journalism and found she was always writing about superfoods, health and the holistic lifestyle for her classes. She says the road to Wild & Raw has been a sort of magnification of her own journey into the unlimited world of health and healing. While Silver was going to SAIT she also worked at Planet Organic and learned about vitamins and holistic approaches there as well. Silver says she was always looking for more information and was also inspired by the Light Cellar, a superfood elixir bar in Calgary that offers workshops on superfoods. 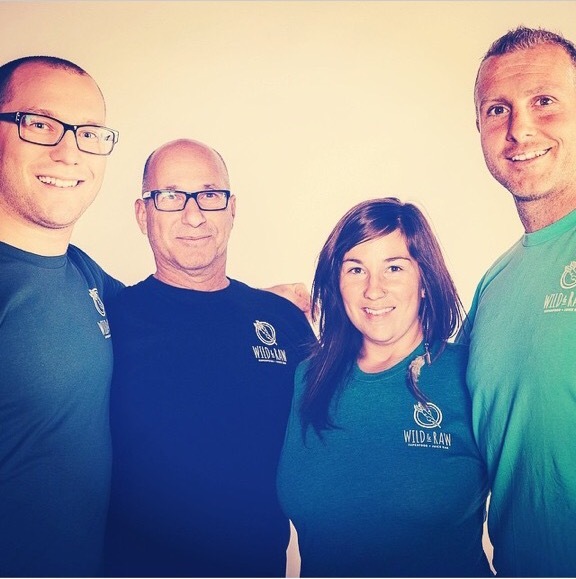 Wild & Raw was reborn in 2014, when Silver’s dad Brian and her brother Matt, read an article about the benefits of cold pressing and juice cleanses. They got so inspired, they decided it was time the family should start thinking about re-opening Wild & Raw. 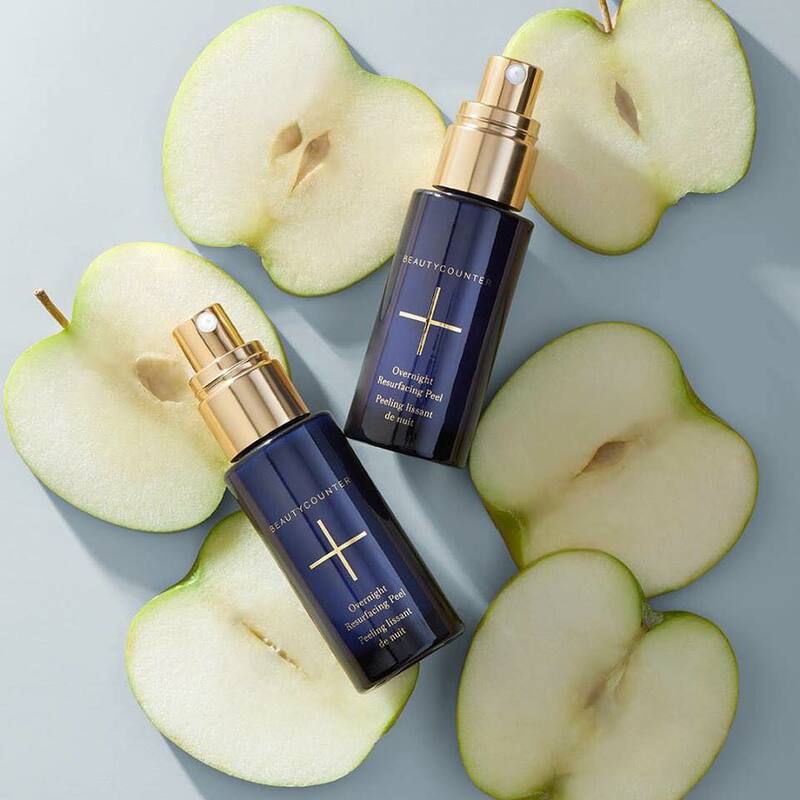 “My dad and my brother read a magazine article about cold pressing and juice cleansing in MacLean’s Magazine and got really inspired… they came to me and said ‘do you think it’s a good time to start thinking about Wild & Raw again?’ I said ‘well, I’m pregnant but sure, let’s go with it,’” Silver says. A few months later they had a space leased in Kensington and started working to build the business. They opened in December 2014. Wild & Raw is very much a family affair. Silver’s dad Brian and brother Matt are very involved in the business and were heavily involved in the design, equipment ordering and overall business plan development. They play an integral role in planning the direction of the business including growth, accounting and direction for expansion. Silver has a four month old daughter, Aura Jade, and says it has been chaotic balancing new motherhood and a new business but, she says she’s also really enjoyed it. Wild & Raw now has an expanded menu from the early days at Samadhi Yoga and Wellness Centre. They now have bone broth, Bulletproof coffee and draught kombucha on tap and have expanded to include the hot elixir drinks as well as some food items. Silver says people are especially interested in the Bulletproof and kombucha. For all of the juices, elixirs and shakes, the ingredients are sourced locally as much as possible and are organic without GMO’s. 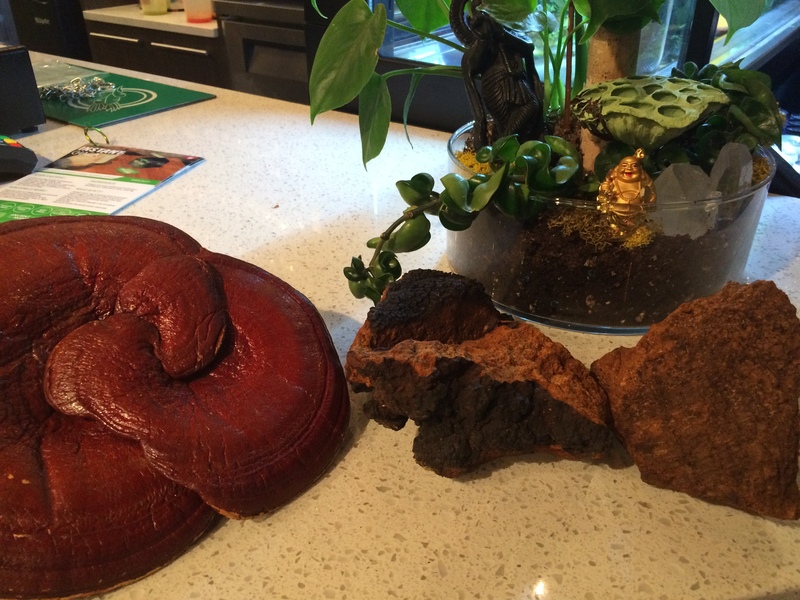 Some of the drinks on the menu include mushrooms like chaga and reishi, lion’s mane and cordyceps. Brain Octane oil is 18x strength concentrated medium chain triglycerides for metabolism, mental cognition and enhanced performance. Enza Ward, a local Registered Holistic Nutritionist and owner of Senzable Healthagrees that mushrooms have many benefits. She encourages people to add mushrooms to their diet for all around good health and longevity. Ward says she adds medicinal mushroom such as, chaga, reishi, cordyceps, turkey tail, lion’s mane, maitake and shiitake to soups, smoothies, protein shakes, coffee, tea and other beverages. She cautions that because mushrooms absorb and concentrate whatever matter they grow from, it is critical to only eat organically grown mushrooms thus avoiding heavy metals and water and air pollutants. Wild & Raw gets all of the chaga from a direct source harvested in New Brunswick. They also get a lot of berries from the Saskatoon Farm, and a lot of their products come from the Calgary brand New Earth Organics. The kombucha is also made locally by True Buch and organic tea sourced from The Naked Leaf. Enjoying our fresh-pressed green juices from Wild & Raw. Alchemical Alkalizer and the PITTA Pacifier. Delish! They also offer bulletproof coffee which is made with upgraded coffee beans, grass-fed organic butter and XCT oils. The bulletproof is designed to boost energy and mental performance. 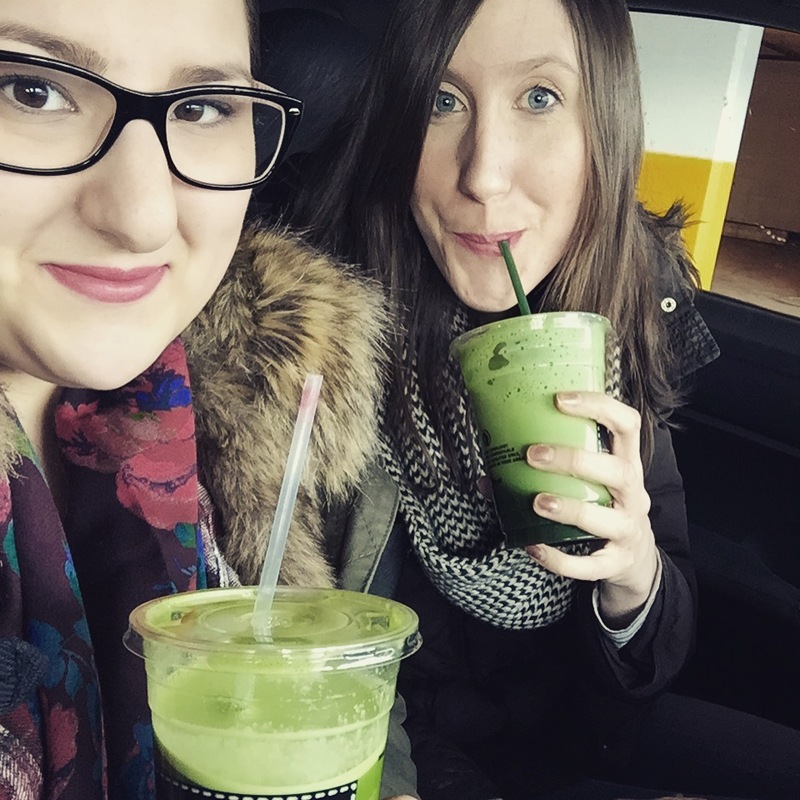 Brittany Andrejcin, a student at the Canadian School of Natural Nutrition and writer of the wellness blog North of Bloom, lives in the area and is always looking for new health-food spots. She started following Wild & Raw on Instagram as soon as she heard they were opening and has stopped in to try some elixirs. Silver wants people to come in and learn about the products. She says she hopes to educate people about the benefits of superfoods but also wants to keep the atmosphere at Wild & Raw fun and light. So, I love food, I mean who doesn’t? Really? In recent years, Calgary or, yyc as it is now more readily referred to as, has become quite the culinary hub. There are so many fantastic places to eat and I thought that I would share a few of my favourites. Village Ice Cream, a local ice cream shop with a great story and even better ice cream! It doesn’t get much better than this folks! I dream about their salted caramel flavour, pictured above. All of the flavours are extremely accurate and true and are perfectly presented in this creamy, locally made ice cream. They even have a great selection of sorbets! I highly recommend stopping in here whenever you get the chance! Wild and Raw is a superfood and juice bar located in the inner city community of Kensginton. They have a jam-packed menu of superfood filled elixirs and smoothies. They also have healthy snacks and meals to go! 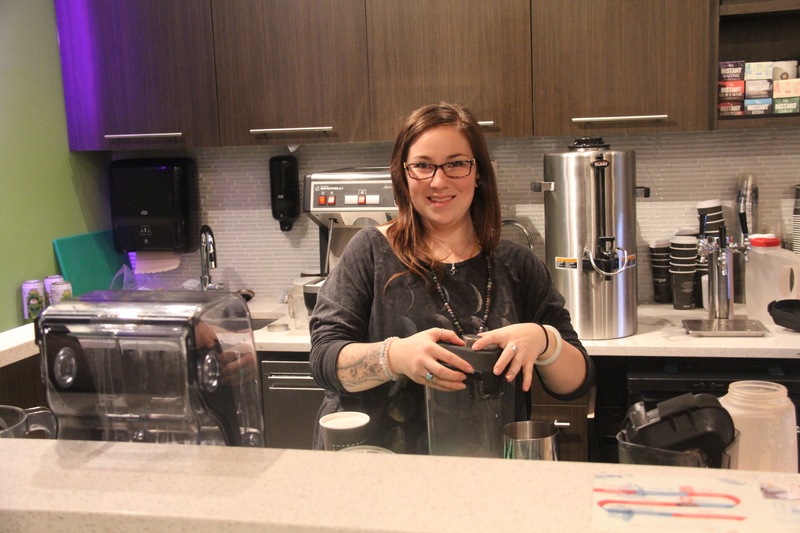 Check out this article for more information on this awesome Calgary superfood stop! Pictured is the “chaggacino” – my personal favourite! The Coup, an amazing vegetarian restaurant located in the heart of Calgary serves up healthy, mouth-watering vegetarian meals. Organic, ethical and locally sourced ingredients go into these amazing dishes and I challenge anyone to find a dish they don’t like, even if they are a carnivore. They also offer take-out! I have a few favourites here, including the tempeh shawarma (pictured above) or the bun-me Vietnamese inspired sub, but, everything is amazing! Sidewalk Citizen Bakery is absolute perfection. I can say nothing bad about this place, well, except the fact that it’s not in the same area of the city as me so I can’t eat it daily (probably a good thing). When I lived in Sunnyside, I was a regular customer. Every baked good from Sidewalk Citizen is to die for. My favourites have to be their cinnamon rolls and the cheese sticks! I also recently tried the pizza (you can order it!) and omg, I have dreams about how good this pizza was (pictured above). Like, I can’t even describe the goodness of these baked goods without my mouth salivating and my stomach rumbling. My inner glutton comes out when it comes to Sidewalk Citizen, and I think it would be hard for anyone to refrain from buying copious amounts of baked treats from this place! Last but not least, Analog Coffee is on my list as one of the best coffee shops in Calgary. I could probably drink 10 of their lattes in a row because the coffee is that smooth. Their array of treats is also super tempting. If you are looking for a Starbucks alternative and want high-end specialty coffee, I highly recommend this place! I love to cook but, there are definitely some days where I just don’t have the time or the desire to figure out what to eat. I’ve recently stumbled-upon Made Foods, a local Calgary company offering restaurant worthy meals, to-go! When I find a great new company, especially a local one, I have to talk about it! This service is really great because you are able to pick-up a variety of pre-made (fresh) meals from one of their eight Calgary and area locations and, they’re not all downtown! They are not only a local company but they source their ingredients locally as well. I absolutely love everything this company stands for. So far, I have tried the Quinoa Crusted Chicken, Squishy Squash Mac & Cheese and the Hummus Chicken Wrap, plus their Made Honeyed Apple Smoothie. Everything I’ve tried so far has been fresh and delicious. I was so happy I was able to try their Squishy Squash Mac & Cheese because I think it is quite the popular dish (it’s actually on the kids menu). The smoothie was tasty but a little chunky and not so smooth, but it could have been the particular bottle and I would be willing to try it again to see if there was a difference because I did enjoy the flavour. One of the great things about Made Foods is that they deliver! YES, I KNOW RIGHT!? Healthy food right to your doorstep! When I first discovered Made I had a few thoughts about how it could be used and, it really is for anyone! If you are having a dinner party, it would easily suffice to buy four of the same entrees, or, if you have different dietary requirements for your guests you could select a few different entrees. It is also great for busy families and even elderly people, like my grandma, who might not be able to get to the grocery store or able to easily make healthy meals. The price point isn’t terrible. It is a bit pricey but, if you look at what ingredients go into each meal, it makes sense and it’s probably not much different than if you were to make these meals yourself. As a family, I won’t be able to regularly purchase from here but, if in a pinch, or for a treat, they have awesome options! In addition to being local, having great ingredients and being fairly affordable, Made also offers a points program. 2o points gets you a free meal and each meal you purchase is worth two points with other items being worth one point. I am thrilled to have a great local company supplying local, healthy and most importantly, TASTY meals! Check out www.madefoods.com for all of their additional services, including a nutrition program!